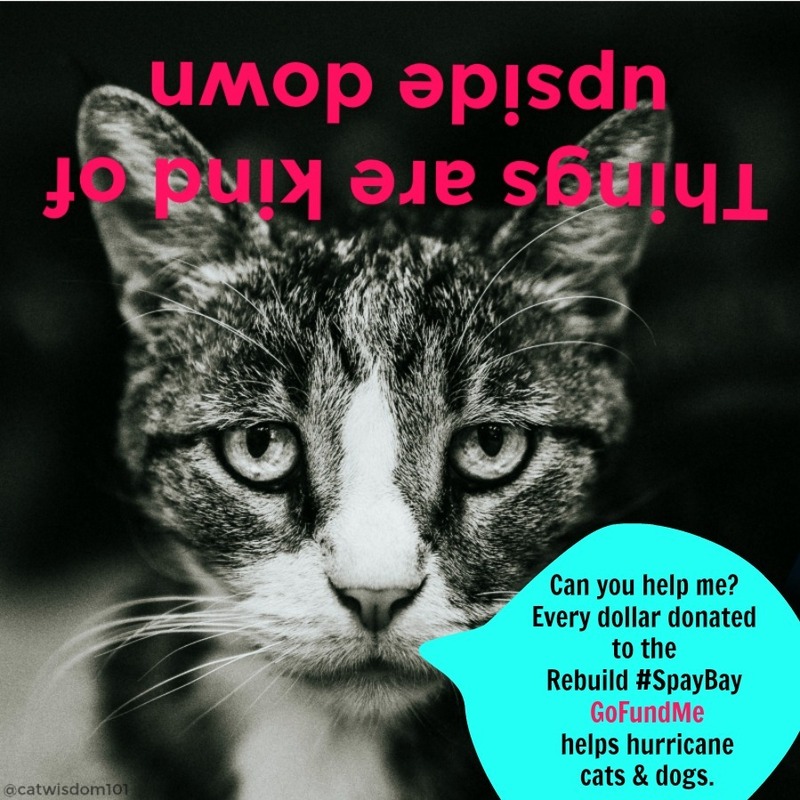 Cat Lovers Help Rebuild #SpayBay Post Hurricane Michael. The improvised title is a hope and plea for your support. Yes, you. 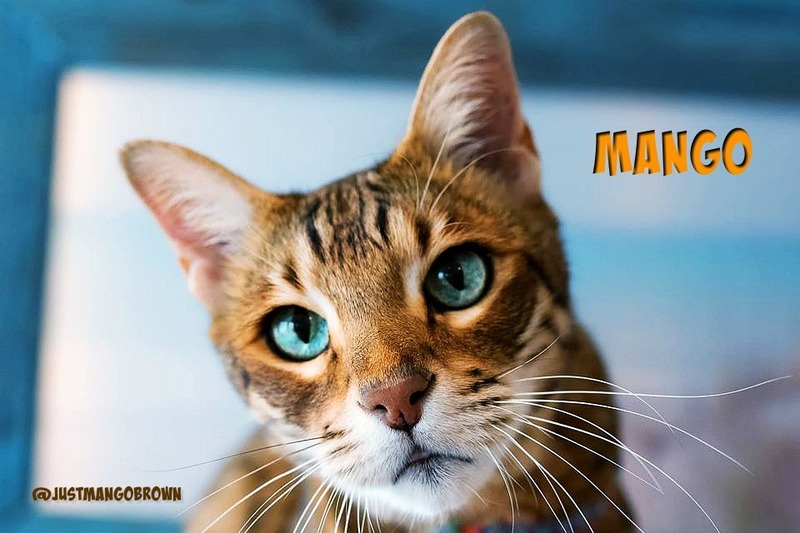 If you’re a regular reader of Cat Wisdom 101, you know cats are everything. This is a personal request for your support. 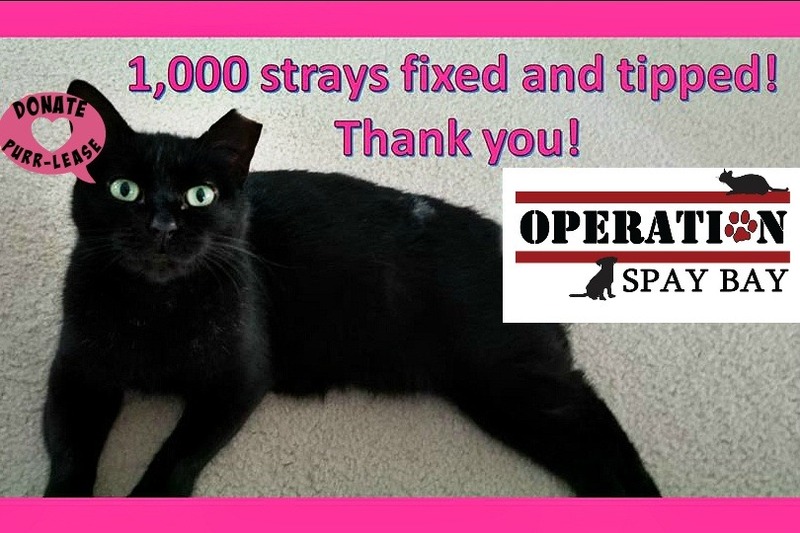 Call me “over-extended”, but I created and quietly launched a “spur of the moment” GoFundMe campaign for Operation Spay Bay within a few days. It was a lot of work for a solo effort and I’m toast. I’m just beginning to get the word out. The clinic folks are struggling just to get hot spots for WiFi. This is where it takes a village, one person at a time to take action like you. I created 7 options and the last one requires no money, no sharing, nothing but an act of kindness that’s your choice. Make your choice now at #SpayBay Go Fund Me Campaign. You can also read about the campaign here and share this post or PIN any of the images. Use the hashtag #spaybay. Please do something. I made a graphic long before the campaign crossed my mind. It has nothing to do with cats but felt compelled to share it. It’s a personal motivator because I create a ton of content that I don’t share. I have gorgeous folders of images and ideas just sitting there. That doesn’t do anyone any good. 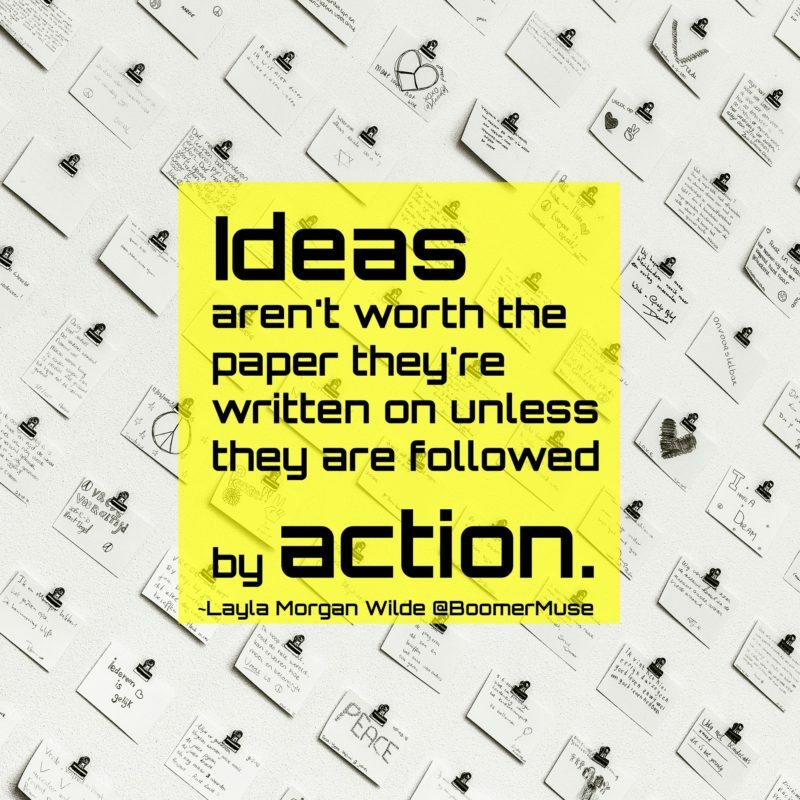 We all need a reason for a CTA (call to action) and then following through. Otherwise, that great idea is dust. 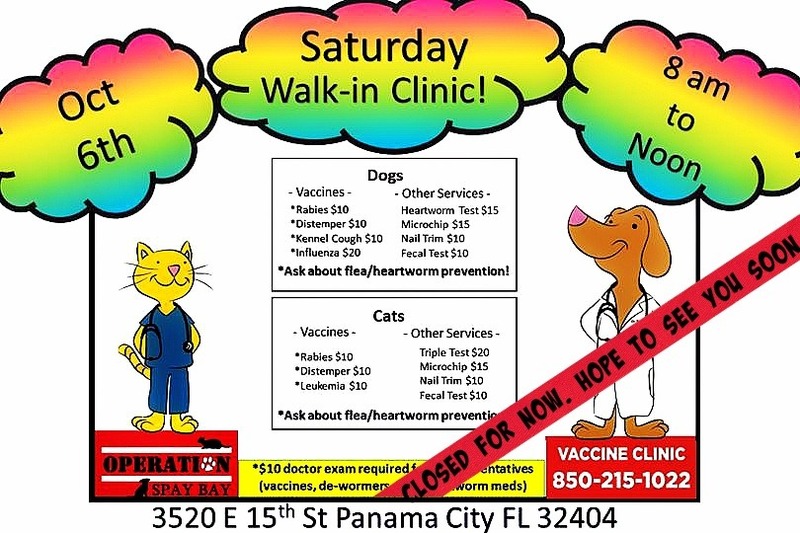 Panama City pet community lost their only low-cost clinic. Imagine the comfort of your cats snoozing at home. Then, imagine their world turned upside down by a hurricane. That’s what happened to Lunz, a black cat and contributor to my book Black Cats Tell All: True Tales And Inspired Images, a nonprofit book and cause. As a cat expert and adoption advocate for less adoptable cats, I wanted to help because a disaster can happen to anyone, anywhere. 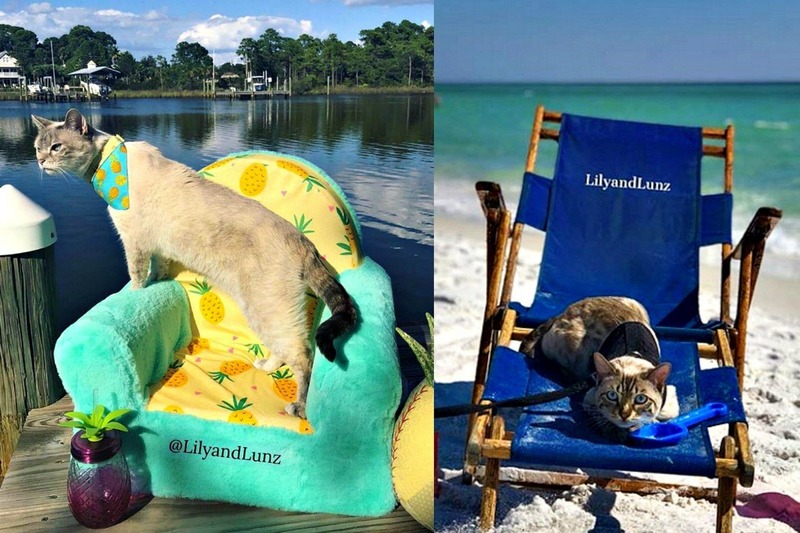 Lunz lives in Florida with Layla and Ella, two Bengals, and theirTabby/Siamese fursib Lily. Lily is famous for her viral snacking on fruit and veggie videos online @lilyandlunz. The happy fur family enjoyed leash walks on the beach and plenty of playtime on a breezy screened-in porch. On social media their good life brought smiles of joy to their many followers. What could go wrong? In a prescient photo, the last one posted before Hurricane Michael hit, Lily is looking out at the bay. Did she sniff ill winds coming? We’ll never know, but mom, Kim, heeded evacuation warnings and thankfully her family was welcomed into the home of Tiffany, Paul, and their Insta-famous Bengal @justmangobrown. Lucky, you might say, but it’s not exactly a picnic being evacuated. We all know cats hate change. Kim’s car was totaled outside the hospital she works at, and her house suffered extensive exterior damage. As bad as it was to be displaced, it did not compare to the hundreds of cats housed in shelters in the hurricane zone. Some were airlifted to other shelters or evacuated from one stressful environment to another. Their fate is unknown. 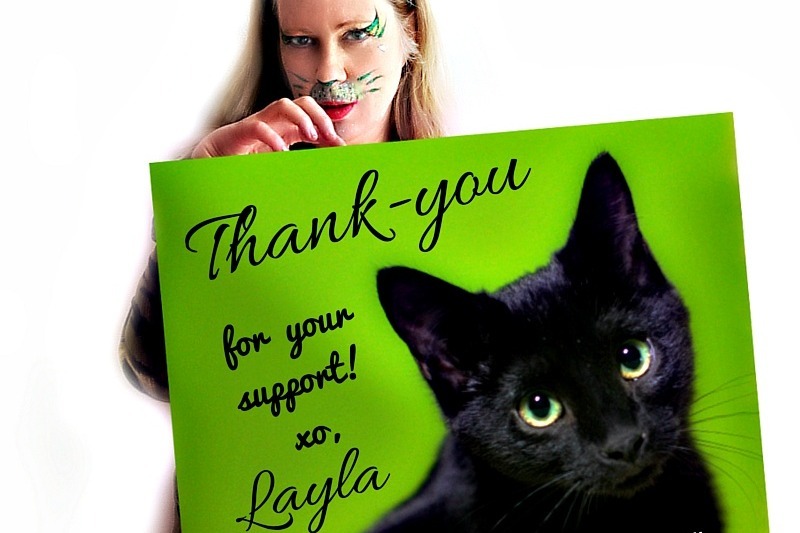 In honor of Black Cat Awareness Month, Lily and Lunz, and all those who actively want to make a difference in the lives of cats, this GoFundMe is a Black Cats Tell All initiative to raise shelter adoption rates for less adoptable cats. Update: I’m watching a news story about the aftermath of hurricane survivors as I write this. 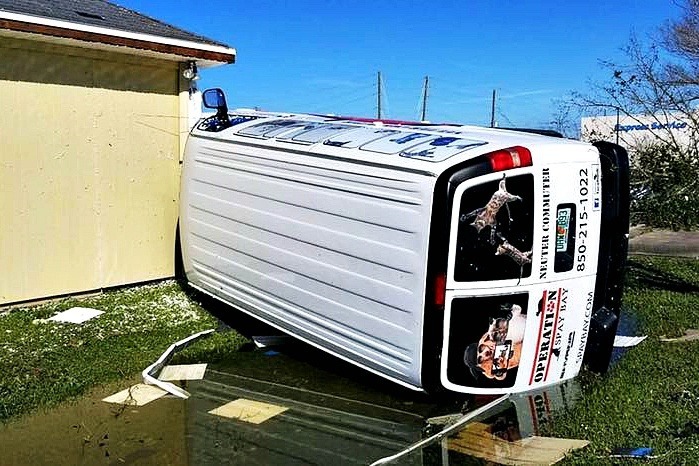 The news cycle is short and within a few days or weeks, Hurricane Micheal will be old news but the struggle to rebuild lives and community will take months and years. With humans struggling to piece back together their lives, feral and other homeless cats who survived the storm are not priority. 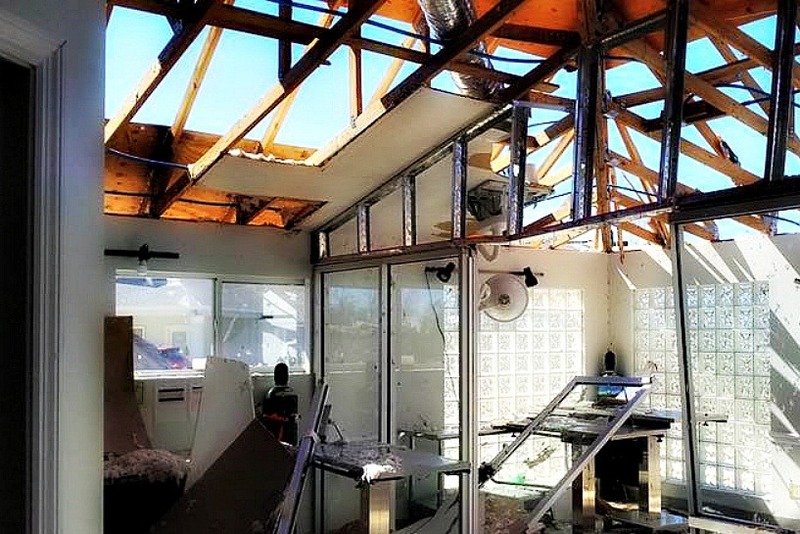 All of the area shelters were damaged. People are focused on cleanup, clearing roads, restoring power, and creating distribution areas for basics like food, water, clothing, and resources for shelter. Some say human lives matter more than animals but who am I to judge who suffers more? We are inter-connected. Pets are family. When disaster strikes it impacts everyone. 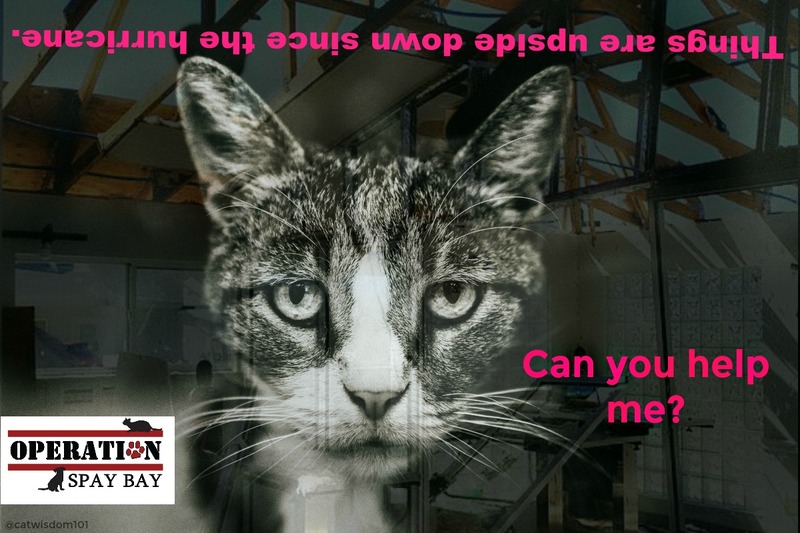 New square graphic purrfect to share on InstagramThere will be pet adoption events, but remember many people have lost their jobs temporarily or permanently. Pet adoption or vet visits are not a priority. 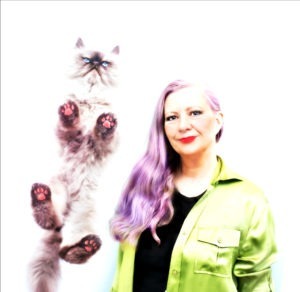 When life is upside down, animals get pushed to the bottom of the list.When I reached out to Kim to find out how I could help her and the cats, she said she’ll be okay but asked for help for a local, low-cost clinic,Operation Spay Bay . That’s how she rolls and that’s why I love our #blackcatstellall black cat community so much. Not only the 100+ black cats in our book but the @blackcatsofIG community on Instagram. Not all are black, but all are awesome. Do join us! Kim says the feral cats she and Tiffany trapped brought them to the outstanding Operation Spay Bay. 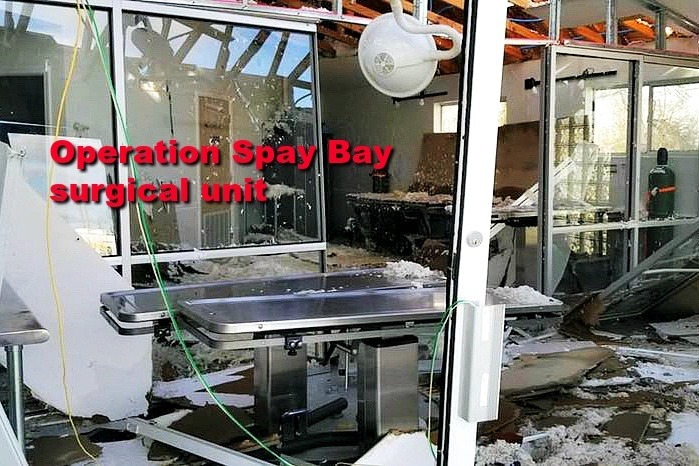 The bay county’s first and only low-cost spay/neuter clinic sustained extreme damage. The building, newly enlarged last January, is standing but the photos speak volumes. 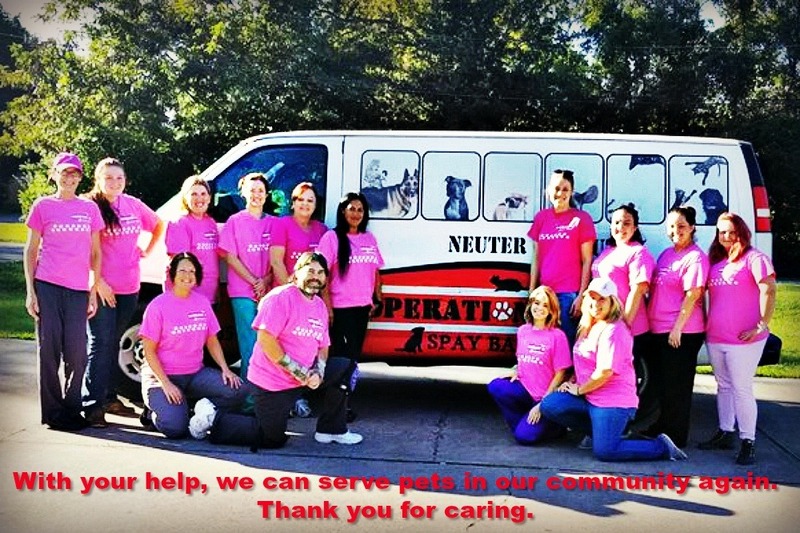 Their mobile neuter van was flipped upside down, and the neighborhood looks like a war zone. They are much loved in the community for offering quality vet care at affordable rates. The clinic is closed, and the 18 member staff laid off until there are enough funds to get the clinic operational. Their last spay/neuters were on October 9. Scheduled appointments are cancelled. That means the likelihood of more litters of feral and orphaned kittens in a few months. The sooner Operation Spay Bay has the ability to provide vet care, the better it will be for pets and the entire community. Our funding goal is open ended since there is no contractor’s estimate for repairs yet. The #1 goal is to get the roof repaired to prevent more damage. Next is getting the mobile van repaired or replaced, replace broken equipment, and purchase medical, office and cleaning supplies. How you can help. Pick one! 1) Make a donation, large or small earns big purrs. 2) If you can’t spare a few dollars, you can contribute by sharing this campaign on Facebook, Twitter, regram on Instagram using the hashtag #spaybay #blackcatstellall. 3) Text or tell a cat or dog lover friend. 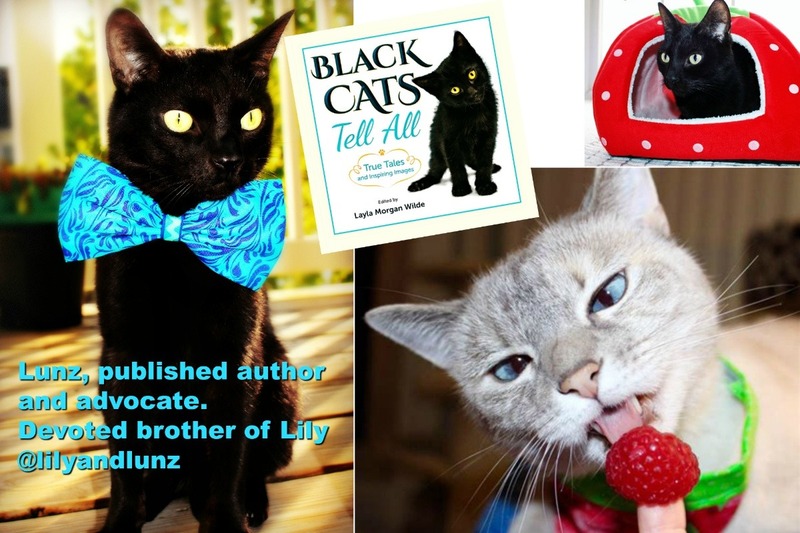 6) Follow us for updates and fundraising giveaways at Cat Wisdom 101 and our Instagram community @blackcatsofIG including free autographed copies* of our book for anyone who donates $100 or more. The aftermath of survival takes its toll on every level. Yes, donations of money and supplies go a long way, but so does kindness and small acts of compassion. You can also do a small kindness in a million ways from a caring smile, holding a door open or giving a hug. Fear and desperation can turn into impatience or anger. The person who irritated you may have lost everything. We live in stressful and trying times. This is not a time of judgement, but an opportunity to be humane. Founder of Cat Wisdom 101 and Black Cat Awareness Month. Thanks for spreading the word! Feel free to post your comments and pet photos on GoFundMe. Thanks for reading . Any suggestions? Leave a comment here. We gave a bit and wished we had more to give. We don’t facebook etc. but did email to all of our friends that do and asked them to post, tweet, flick, flitter or whatever else they can do MOL. There are so many in need these days. Purrs and Prayers to All. I sure did get your thank you! It would be amazing if everyone that read a post like these and gave a dollar how many millions could be raised!!!!! We have donated from Mrs H’s sherry fund and my holiday piggybank for you, and shared too. I hope they get lots more and make through this tragedy. Can you put the Go Fund me at the top in big red letters, I can’t find it. We don’t just need to speak, we need to share and DO. DO NOW. I am scheduling tweets for every day for the next two weeks and FB posts. and adding you to our blog. Bless you for jumping in and lending a loving and helping paw. My company matches any donations that I make to 501C charities, using their special website. I’ll donate to Operation Spay Day via that process, so they get a double donation. I sure hope and pawray that that clinic and other like it, along with shelters will soon be able to provide the needed services they offer. I just sent out a tweet about the campaign – it’s awful, all the devastation to both humans and animals (and the humans who care for animals) have suffered in Michael’s wake.